John Blumenthal was born in Sydney and raised in the Bay of Islands, New Zealand. His love of the water has taken him around the world as a professional crewman and boat captain on marlin boats, particularly on the Great Barrier Reef, in Central America, and throughout the Caribbean. 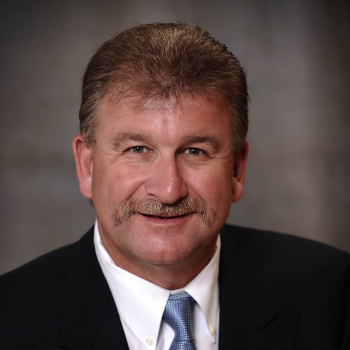 John settled in the U.S. in 1991 and worked as a Captain for boat owners until 2005, when he became a licensed boat broker. 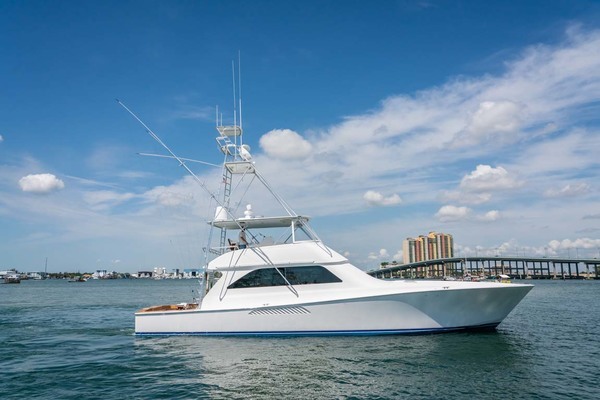 He has extensive, decades-long experience in boat sales, is honest and easy to work with, has great attention to detail and a tireless commitment to his clients. Apart from being a very successful broker in the US … John’s specialty is sourcing pre-owned boats for Australian and New Zealand clients, thoroughly inspecting them and reporting to those prospective buyers on the condition of the boat, closing the sale on their behalf and shipping the boats to Down Under. He has many clients in Australia and New Zealand (see the testimonials below), who have purchased boats from the US with him, without having to travel to there to inspect the boat and for whom he has made the shipping and import to Australia and New Zealand process easy. Many of these clients have referred John to friends, who have also purchased pre-owned US boats from him. 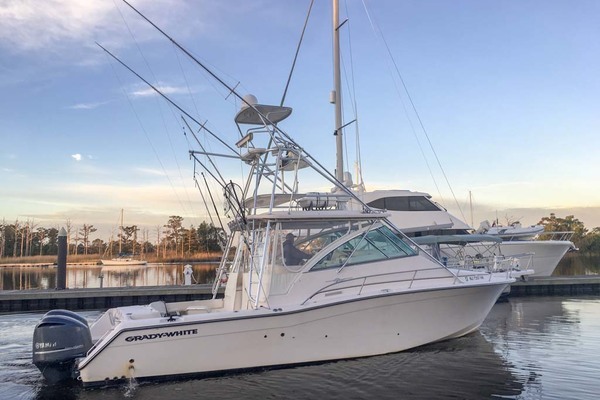 The US preowned boat market is vast and there’s more choice of boats for sale than in Australia and New Zealand, so whatever type of boat you are interested in, contact John and get him to work on your behalf. Approximately twelve years ago I was chasing a 64'Sunseeker Manhattan and as it turned out John was the first broker that I spoke to in the USA. John actually sourced other 64's throughout the East Coast trying to find the right boat for me. He assisted with the survey, storage, shipping, relevant Customs paperwork and he personally loaded the boat onto the ship to Australia for me. This purchase was the first of many dealings that John has handled on my behalf. One was a 32' Boston Whaler that I had found on the internet but it was located in the Gulf. No problems he said I will pick it up and run it back here for shipping and I then explained it was the right boat but wrong colour. I have guys that will paint the boat for you. Boat arrived in Australia looking brand new in flag blue. Nothing has ever been a problem for John to do and it is great to have someone so far away from my base that I can trust and is so willing to help with any boating requirement that I may have. John is certainly my "Go To Guy" in the USA ! I have known John for many years and experienced his exceptional knowledge as boat a boat captain and a yacht broker. John has professionally represented me with the purchase and sales of several boats. So, if you are in the market to purchase or have the need to sell, I reccomend you consider John. You will not be dissapointed! I always dreamed of having my own boat. It sounds simple, but there is a lot to consider. Through an acquaintance I was introduced to John. He took the time to understand how I would use the boat along with my like to haves and my budget. He found exactly what I was looking for at the right price point. Thanks to John I am living the dream! 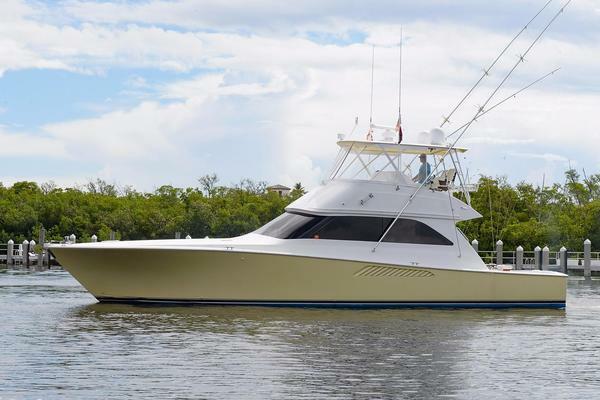 From finding us an outstanding Viking 64, negotiating a great price, then arranging shipping to NZ, we couldn't have been any more delighted with John's service throughout. 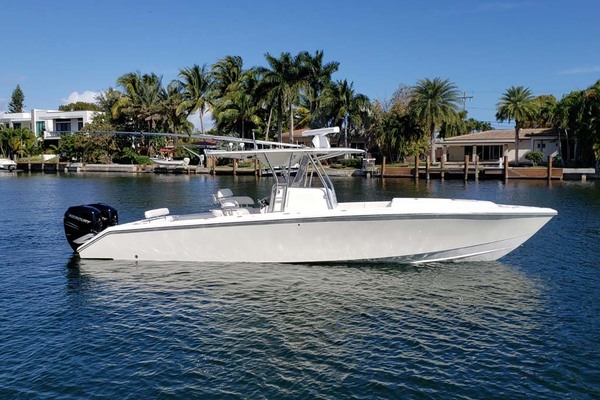 We have no hesitation in recommending John to anyone needing a knowledgeable Kiwi they can trust in the U.S.
John, just a short note to let you know how much I have appreciated your guidance and professionalism in helping both the buying and selling of my boats in the past as well as in the future. 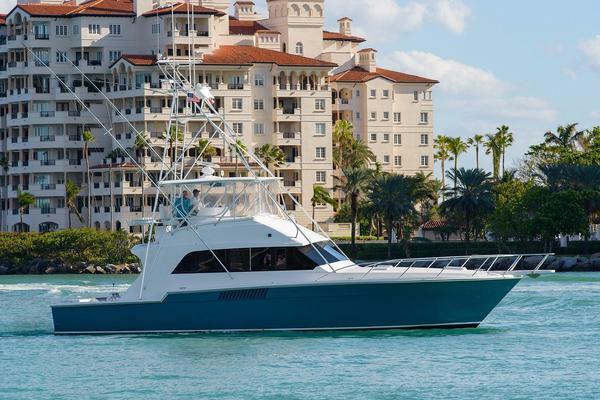 The biggest plus of all was all of the help after the sale to make sure the things we wanted to add to the boat were handled and finished by people as meticulous and professional as you are! You ahve also treated my friends that I have referred the same, keep up the great work! 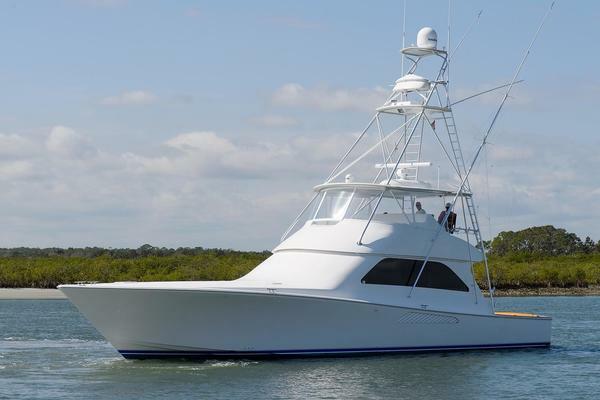 My Brother and I have just completed the long process of importing a Luhrs 36 Convertable from Florida to New Zealand. We Used John Blumenthal and had a faultless process from purchasing to delivery. John kept us in the loop 100% of the time and put in a huge effort to make sure we got what we were after as we never layed eyes on the boat in person until it arrived in New Zealand. We highly recomend John if you are in the market for a boat as he is someone you can trust. Thanks John Blumenthal from the Sullivan brothers down here in NZ. Purchased my Yacht through John, he was very friendly and professional. The whole process (incl Customs, Immigration, loading/unloading) of bringing the Yacht from the USA to Australia was a pleasant experience and would recommend John to any prospective purchaser. Much appreciated and Thank you! We've been doing business with John for the past 11 years and our experience has been nothing short of phenomenal. John is our go to guy for anything that has to do with boats. 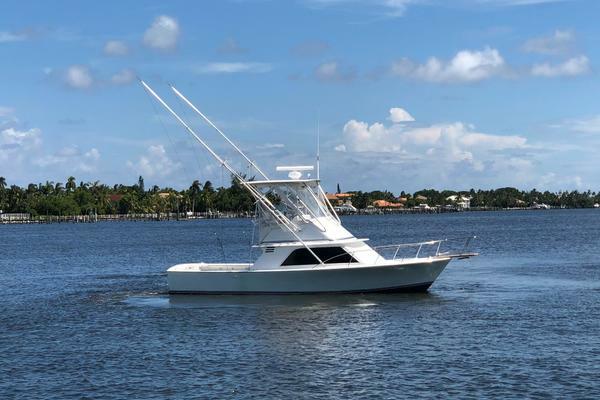 He's brokered multiple transactions for us from replacement to downsizing to recently the purchase of our 2009 Viking 64 feet and we don't have a single complaint. He's gone far beyond the call of duty for us being our broker and also becoming our friend. At times when he's thought I've needed the help he's jumped on board and helped us get familiarized with new equipment and that's lead to awesome family vacations with him and great fish fries. The man can make a mean fish. He's always there. For the last couple of months he's even been the person at helm with getting our new boat a crew to refurbish it and make it our sea home. We know that the people taking care of our boat are the best because John is meticulous and the best at what he does and always familiar with the crew. John, if you're reading this, I hope you know you're greatly appreciated!